New Year's Day coincides with the anniversary of this blog, which I started on my day off on January 1, 2007, first in Dutch, then adding English two weeks later, then dropping the Dutch version somewhere in September, just because it took too much time. You can see from the graph above how the number of visitors increased, and this without any promotion (click on the chart to have a clearer picture). That means that we now have around 400 unique visitors daily. Thank you all for the interest, that's what keeps me going. "In 2008 we'll be moving into Cosmic Music, that we're just preparing now, because deep things are going to happen in 2008, there will be a shift in the access of power, here on earth and in other places, in the other world. You'll be hearing a lot about that in the future, as we'll be moving, switching to the cosmic music system, which is a different kind of system of music than they teach you in music schools. So, just look out for that in the near future from a lot of musicians". Keep you ears and minds open, is all I can wish to everyone. There is of course a lot I haven't listened to. CDs for which I have high expectations, but are not yet in my possession are : Tim Berne's "Seconds", Phil Gibbs's "Blown Away", François Carrier's "Kathmandu", Joe McPhee's "Soprano", Adam Lane's "Buffalo", Satoko Fujii's "Bacchus", ... so I may add them to this or next year's list. On the first track "Burried Head", Malaby's playing is sensitive, hesitant, while the rhythm sections just offers support, without rhythm, acting as a sounding board rather, then Parker starts a fast bass run, followed by Waits, pushing Malaby to some high rhythmic stutters, evolving into a repetitive theme conjured up from nowhere, leading into a powerful, fast and mad solo in the middle section, then breaking down again in plaintive and melodic resignation, while Waits plays in different tempo, with counter-rhythms, yet Parker brings them all back together, Malaby ending with a soft melody, a precursor to the albums main theme coming up later. "La Mariposa" is a softer piece, more abstract in its harmonic development, with Malaby on soprano soaring high like a butterfly. The most beautiful piece is the title track, which starts with a great melodic theme, evolving into some more free expansion of it, then repeating the theme in a whailing, lamenting kind of way, somewhere between jubilant admiration, joy and pain, evolving into screeching fear and utter chaos of the whole trio, until they find their footing again, repeating the theme, resigned, somehow still in jubilant wonder. On the intro to "Mother's Love", Malaby creates flute-like sounds on his sax, gentle, moving, inviting Parker in to the music with some subtle arco, Waits adding raw percussive accents, flowing the whole into some ambiguous environment of beauty and emotional strain. The last track "Moving Head" starts with a nice Parker ostinato bass, Waits lightly propulsing the track forward, while Malaby flies above this, not really playing a melody, but talking really, speaking, crying, ... lightly touching upon the theme of the title track, ending in a plaintive long whail. What they play here is so free, so open, so melodious, yet at the same time so coherent in its sound, its structure and execution, that you wonder how they did it. I've listened to it more than ten times now, I think, yet it's a revelation again with each listen. It's broad, deep, rich, intense, beautiful. This album is superb. Not to be missed. This year brought some nice world jazz albums, but not that many. The genre is of course very broad, and there is no comparison between the intimistic setting of the two solo cello records here on the list, and the extravert Archie Shepp & Dar Gnawa on the other extreme. The mediterranean world jazz is well-represented with Rabih Abou-Khalil, Myriam Alter, Paolo Fresu and Gato Libre. You can find reviews for each of these albums by clicking on the title. Myriam Alter - Where Is There? 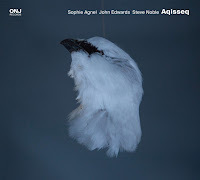 Some guys are a little more productive than others, and Stephen Gauci is certainly among the former, and less than two weeks after my review of his other album released this year, here is another one. 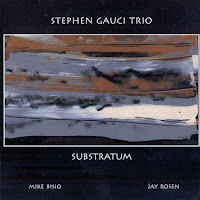 "Substratum" is his third trio record with Michael Bisio on bass and Jay Rosen on drums. It seems like Gauci has so much to tell, that he's catching up for the first 35 years of his life which went unrecorded. And it's a pleasure for all of us that he gets the possibility to play and make records. Stephen Gauci has what it takes to be a great musician : a clear and distinct voice, both in his tenor playing as in the music he creates, which is open, melodic, dramatic, intense and tender at the same time. As Robert D. Rusch, the boss of CIMP describes it : "And, indeed, in much of Stephen’s solo approach there is the element of structural primal scream. On the other hand there is the near-lullaby side of Stephen’s music. But, scream or dream, when watching Stephen play it is visually evident that there is a great energy surging through which appears to gather within him a bellows-like release—through his mouth into his horn. That balance of pressures gives his work the tension that marks his improvisations". And on top of this, both Bisio and Rosen are stellar musicians, both to a large extent responsible for the overall sound of the album, which is a real trio date, with everyone contributing on equal footing. That's also to Gauci's credit. This is free jazz with a great sense of lyricism, not unlike Trio X, relatively accessible, with some real free bop passages - rhythm, theme, structure and all - alternating with slow emotional and exploratory excursions. Again : here is a guy who has something to tell. And again a winner, two in one year already. I hope he can continue like this in 2008. 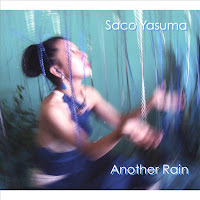 Saco Yasuma is a New-York based saxophonist, who assembles for her debut recording some of free jazz finest musicians, including Roy Campbell on trumpet, Ken Filiano on bass, Andrew Bemkey on keyboards and Michael T.A. Thompson on drums. And with such a band, there aren't many things that can go wrong. "Another Rain" symbolizes "the movement between darkness and light, bitterness and sweet. The same rain cleanses and muddles up, quenches and drowns. The balance is in our hands". The music illustrates this dichotomy quite well, and Yasuma is sufficiently familiar and comfortable with the various idioms of jazz to build these contrasts. Yasuma is a true composer, building the pieces with clearly delineated parts, themes and developments of the themes, adding complexities and functional layers of music (in that way she reminds me a little of Rob Reddy), yet this makes the overall concept too locked in, like sailing on a pond, the end-point is always clear, limiting the surprise element a little. Sure, the musicians get ample opportunity to improvize, and Yasuma is an excellent player herself, but a little more adventure would have made this album even better. The free-est parts, as on the superb "Calm Water" on which Yasuma plays the Xaphoon, a bamboo sax, or the intense "Straight Upward", are in my opinion the best. They contrast a little too much with the more composed parts, with melodies that are a little too sentimental to my taste, to offer the album unity. Golda Solomon recites some poetry on one track, and I'm not a fan of spoken word or poetry in jazz. So, in sum, great musicianship, there nice pieces of music, but overall a little too mellow and reigned in to my taste. You can download from Music Is Here or from CDBaby. Trombonist Steve Swell's band is called "Fire Into Music", which is a good moniker for the band and the music, with Jemeel Moondoc on alto sax, William Parker on bass and Hamid Drake on drums. And as I've said earlier, these guys know what music is all about, with technical mastery of the instrument serving just as the foundation from which to start building the music. Skills are here at the full service of the music, an instrumental conduit to turn the fire of their passions into musical language. And their passions are wide : the album's title may lead you anywhere "a galaxy of goodwill and sorrow", life itself, including the best and the worst in man, but also musical tradition itself, which is blues, swing, bop, free, all culminating in this music, which is melodic, structured and free. The title track is certainly one of the highlights, with a beautiful theme, but so is the very long and slow "For Arthur Williams", composed by Jemeel Moondoc, offering Swell the right speed to bring the trombone's plaintive tones to their most eloquent level. The music on the whole record is very rhythmic, with probably the best rhythm section you can have nowadays, but it's above all melodic, open and creative at the same time. Swell wrote most of the material, with lots of slow melodic build-up, creating a real coherent album of very solemn, grave and long-spun themes, with the exception of the more abstract opening track, yet adding a fun rhythmic pulse, hence creating a kind or mixed mood, which perfectly corresponds with the title. He is also sufficiently experienced to let the whole band shine and indeed, all four musicians contribute to the album's success. As it should be. 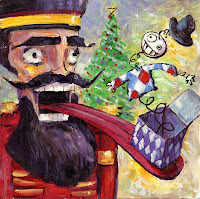 My apologies, even if I try to avoid the christmas activities around me as much as possible, there's no escaping it. Hence a small gift also from my part, carefully selected and spirited away from the Sounds Are Active website. I Heart Lung, consisting of Chris Schlarb on electric guitar and bells, Anthony Shadduck on acoustic bass and bells, and Tom Steck on acoustic drums (and no bells! ), I reviewed earlier. Bizarre, open-ended guitar music, more a question-mark than a statement, brings well-known Christmas carols in their own approach, irreverent yet not unrespectul, tongue-in-cheek yet also interested in the musical dimension of the pieces. Their self-penned last track is surely not an existing carol, but has all the potential of becoming one. You can also download the entire album with artwork here. To my knowledge the first full records of piano-trumpet duets were recorded by Oscar Peterson. He teamed up for duets with Dizzy Gillespie, Roy Eldridge, Clark Terry, Jon Faddis and Harry "Sweets" Edison. Most of these albums are pure joy, with bluesy pieces or standards, played seemingly effortless, without artistic pretence, just made for the fun of the music and the interplay itself. And if duets weren't enough, Gillespie, Eldridge, Hubbard and Terry teamed up with Peterson to form the Trumpet Kings. Yet over the years, changes took place. Today, piano-trumpet duets have become less rhythmic, less swinging than in the 50s or 60s, and evolved into the ideal line-up for very intimate, emotional and creative explorations of various moods. And there is of course also Chet Baker's duo with Paul Bley ("Diane"). There aren't that many records with this line-up anymore, which is unfortunate, because the combination works extremely well, I think. The absolute masters of the piano-trumpet duo today are Satoko Fujii and Natsuki Tamura for the more avant-garde, and Enrico Rava and Stefano Bollani for the more intimistic mainstream genre. Both have produced superb albums this year. Satoko Fujii & Natsuki Tamura - How Many? Back to some serious stuff now - though with moments of great fun too. The album brings one hour of free improvization between some of the best improvisers on sax and clarinet. We know of each of those two musicians what their capabilities are, but when they join forces, the effects are absolutely astounding. Don't expect swing or strong rhythmic expansion, but what you get instead is so much stronger : two virtuosi playing with sound, with melody, interacting, respectfully, joyfully, intimately, creatively. When one of them changes direction, the other one follows, copying, echoing, then playing the freshly created phrase together, then moving away again, and this in all possible variations. There are rhythmic parts in it, especially when Rothenberg or Parker move to passages of circular breathing, with deep-toned repeated patterns, allowing the other one to soar freely above them, or in high flustering tones, one against the other in counterpoint, spinning like dancing Dervishes, until your head starts spinning too. But they can play up against each other in moments of great intensity and raw virile outbursts, like roosters fighting, as in "On Alto On Tenor". The overall effects are beautiful, strange at times, hypnotic, captivating. I haven't heard their previous duo album "Monkey Puzzle" (Leo Records, 2000), but if it's half as good as this one, it's still worth looking for. The video below gives a good picture of their unbelievable skills. Time for holidays and celebrations. Let's be a little less formal, spiritual, serious and high-brow, here are some fun records, guaranteed to lift the spirits and make you get up from you lazy chair. Compact rhythmic music with a smile. 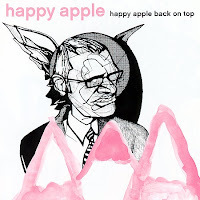 This is the seventh release by the Happy Apple trio, consisting of Erik Fratzke on acoustic bass, Dave King on drums and Michael Lewis on saxophone and keyboards. Their hard-driving energetic rock-influenced jazz has not changed over this period of twelve years. Eleven tracks clocking around five minutes on average, fresh, melodic and fun. It's not boundary-shaking, but it's fun. 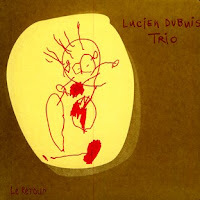 This is the second album by the Swiss-based Lucien Dubuis Trio, with the leader on sax, Roman Nowka on guitar and bass, and Lionel Friedli on drums. The arrangements are minimal, the 19 tracks of about 3 minutes long all riff-based as in rock music, straight-forward, intense and powerful. It's light, creative and fun. Crazy Japanese jazz-band does it again, continuing on the same track of their previous albums. Crazy in their hyper-energetic approach, yet with lots of technical skills in the musicianship and in the arrangements. The album consists of 14 tracks of about 4 minutes, including Freddie Hubbard's Red Clay, which is a welcome point of rest in between the unbridled funky power the band unleashes, varying between a television car chase soundtrack, cinematic triumphant horn parts over more motown-influenced rhythms to current dance beats. There are more electronics to be heard than on the previous ones, but otherwise they keep repeating themselves, only with new songs. Considering the novelty of their approach, that's maybe not a bad strategy. 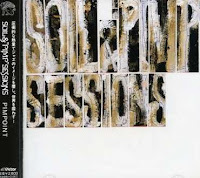 With Shacho as "Agitator", Josei on piano, Akita Goldman on bass, Tabu Zombie on trumpet, Motoharu on sax and Midorin on drums. Mostly Other People Do The Killing is a New York band, consisting of Moppa Elliott on bass, Kevin Shea on drums, Peter Evans on trumpet and Jon Irabagon on saxes. Moppa Elliott wrote all the material : 10 tracks of about 6 minutes long. The band's intention is to bring back fun into jazz, and that is what they do : building on the tradition, but with an open mind, rough and hard. As Elliott writes "I like my jazz with some dirt on it, sometimes a lot of dirt. Jazz has started to take itself too seriously and is in danger of falling into the same stagnant condition that so-called “classical music” is in now." On this album, the arrangements are more complex than on the albums reviewed above, with room for short and compact improvizations, except for the last track, a long rendition of "Night In Tunesia" on which drums, sax and trumpet get the chance to play long solos. 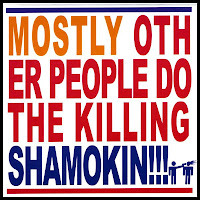 Listen to Shamokin!!! below (and don't ask me how the visuals relate to the music...). 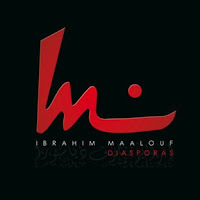 My recent review of Ibrahim Maalouf's "Diasporas", made me search for his father's Nassim Maalouf's "Improvisations Orientales" from 1994, the first solo trumpet CD with his quartertone trumpet, and of which I now found a copy. For this trumpet he added a fourth valve, half the length of the second valve, which is played by the index finger of his left hand. On this CD he demonstrates how Arabic scales or "maqamat" can be played with the trumpet. But the record brings more than just a demonstration. It brings music of a purity seldom heard. If you like Frank London's Invocations, you may like this one even more; it does with Arabic music what London did for jewish prayer songs, turning it into a moving solo trumpet incantation. Most of the music is very spiritual, slow, melancholy and sad, but luckily some dances are included as well, breaking the monotony. On some tracks he is accompanied by Adel Chams Eddine on frame drums. His playing is exceptional, and so is the music. Unreal ... 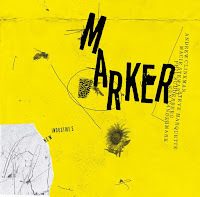 I don't think there is another word for this new album by Andrea Centazzo, and I must apologize for writing a review about him some days after the previous one, but well .... what the heck. So, this album is unreal because it does not sound like anything you've heard before. Master percussionist Centazzo (all percussion and vibes) sets the tone for a voyage to a variety of places on earth : Australia, Japan, Senegal, Norway, UK, India, Seychelles, Indonesia. He is accompanied on this journey by Polish singer Sylwia Bialas and German trumpeter Hans-Peter Salentin. Centazzo's playing sounds remote, as if you're listening to him from a distance, a large concert hall or something, and so do both other musicians, who play with lots of reverb and chamber effects, creating an effect of open spaces. Salentin furthermore uses every electronic possibility available today to make his trumpet create sounds previously unheard, without relinquishing the basic sounds. His playing and improvising are excellent, with some Miles references in it, also indebted to Nils Petter-Molvaer or Markus Stockhausen. As I said, Centazzo sets the tone and the pace for each track, from meditative pieces, over polyrhytmic complexities to tribal drumming, adding accents where needed. The real star of the album is the singer though. Bialas's voice is not only exceptional, both in timbre and range, but her improvizations are stunning. She uses her voice like an instrument, wordless, powerful, soaring, ... The greatest thing is the overall effect : the pure voice, the trumpet, the percussion. Pure jazz afficionados should abstain, this is nu-jazz, fusion, ambient, avant-garde new-age jazz or whatever you call it, but it's genuine, it's authentic, it's cinematic, it's dramatic, the search for expressiveness and the result are not fake, no plastic. It's real. So, well, in conclusion : it's both real and unreal. Listen and download from Allaboutjazz or eMusic or Klicktrack. Cuong Vu is a young trumpeter with a clear musical vision. His integration of rock-influenced rhythms and melodies with a jazz line-up and electronic transformations leads us indeed into new territory. It's not jazz, it's not fusion, it's not rock. On Vu-Tet he is joined by his regular band members Ted Poor on drums and Stomu Takeishi on electric bass, but also by Chris Speed on sax and clarinet. The music is at times very close to Speed's musical approach without the "Balkan" influences, or not too far away from Jim Black's albums either, with long melodic unisono lines between trumpet and sax, supported by a hard-hitting pumping rhythm section, which is capable of complex rhythm changes and high speed deliveries. It's all very well done, nicely orchestrated, yet to my taste a little too polished, which goes at the expense of the spontaneity you expect from jazz. Especially the slower pieces could have had some more roughness, some claws, more emotional outbursts. After the "spacy" intro, the album really starts with some magnificent musical agitation on "Accelerated Thoughts", which really demonstrates the capabilities of the four musicians and of Vu as a composer, it moves over some slower pieces to the real highlight of the album "Never, Ever, Ever", wich will certainly appeal to fusion fans, but then it dwindles down to soft, even mellow melodies in the last two tracks, all nice and beautiful. Cuong Vu should maybe listen closely to Tomasz Stanko - his sense of melancholy leads him to create nice and beautiful melodies too, yet Stanko always manages to get some superior deeply-felt raw emotions in his music. Stanko lays himself bare, naked and vulnerable, and that's probably the toughest challenge in music. If Vu can take this hurdle, he can become really great, because he has loads of talent (or maybe he should just stop playing with Pat Metheny). His CD with all the extras can be downloaded since December 17 from Artistshare. The Artistshare website is certainly one to check out. The concept is that the musicians directly release their music through the site, offering even possibilities for interaction during the creative process. Apart from the music itself, you get sheet music, commentary by the musicians on the music they create, e-mail exchange and other insights. Mikolaj Trzaska is, together with Adam Pieronczyk, without a doubt the best of modern Polish or even European saxophonists. 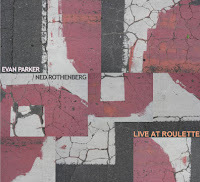 I called him earlier the opposite of Peter Brötzmann, in the sense that his tone is warm and elegant, and that he does not need to shout or scream in order to be adventurous or move boundaries. And his style of playing comes close to the efforts made by Joe McPhee in the previous years, in whose tone anger has been gradually replaced by compassion, though not completely. It's no surprise they met and played together, assisted by the great Jay Rosen on drums. "Intimate Conversations", the title of the album, is well-chosen, because that's exactly what this CD brings. 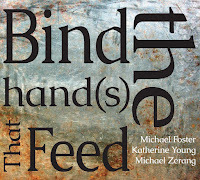 The first two tracks are duets between McPhee and Rosen, fierce, anguished, powerful. On the third track the tone melts down to more melancholy regions for a duet between McPhee and Trzaska. On "Did God Forget About Darfur/What God?" the first trio track can be heard. While McPhee sticks to his tenor on the whole album, Trzaska alternates between alto, bass clarinet and the rarely used C-melody sax. That difference makes it easier to identify the musicians, although their differences in style are easily recognized. The interaction, the common language they find, the call-and-response, are all excellent, especially in "Intimate Conversation # 2" on which they move to the higher registers of the instruments, playing very controlled and shrill tones, like birds. Jay Rosen brings a solo drums tribute piece to Max Roach, called "North Star" and although I'm not a real fan of drum solos, this one is captivating, with some one-handed drum rolls, played with power and subtlety as Roach did himself. The most intimate conversation is the third one, on which Trzaska brings some rhythmic and hypnotic circular breathing on bass clarinet throughout the track, over which McPhee plays some eery light lines, sparsely accompanied by Rosen, moving into a more intense blaze in the middle, yet falling back in their initial routine at the end : a bizarre and impactful piece of music. One of the greatest feats of the album is the space the musicians offer each other, creating great openness. The best example of this can be found in "Snowflakes on flowers", on which the music expresses exactly that, with all the trembling lightness and softness of touch it entails, including a little over 15 seconds when nothing can be heard at all. A great, explorative and sensitive album. In order to improve his diction (clear, loud, persuasive ...), the ancient Greek orator Demosthenes used to walk down to the beach, then put some pebbles in his mouth, and with this impediment he started perorating against the roar of the crashing waves, just to make sure that the expressiveness and force of his speech could overpower the limits of the human body and the worst of natural obstacles. This is the image that comes to mind with saxophonist Larry Ochs's playing with (or against) two drummers, especially on the first track. Both drummers, Scott Amendola and Donald Robinson, hit as hard as they can (yet intelligently) and Ochs's tenor roars up against the storm. The sheer power coming out of this is hard to describe and the overall effect is gigantic, especially because of Ochs's skill at overpowering the drums and taming them with melody and emotional expression, despite the drums' unrelenting unleashing of all the energy they can muster. The title track alone is worth the price of the album. But then on the second track, the trio shifts gears, and moves into a very sensitive piece, with soft drumming, middle-eastern melodic explorations by an almost hoarse and painfully emotional sax. The structure is the same as on "The Neon Truth", the previous CD by the same band, on which all pieces start with free improv, then the drums join until the trio finds its basis, then the two drums move on without the sax, and at the end they all come back together, wherever that is. The band's original intention, ie to reflect the traditional blues-shouters in an instrumental form, is best illustrated by the third track, in which sax and both drummers are engaged in a fierce conversation, with immediate call-and-response. 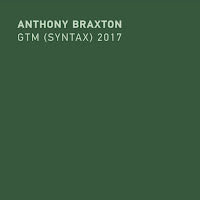 The variation on this record is great, soft pieces and fierce moments alternate, with "And Nothing But" offering probably one of the most beautiful free sax moments of the year, starting slowly but then gaining momentum ending again in a great finale. Yet it's not all powerplay or sweet emotions, there are some joyous moments, moments of great interaction, just for the joy of making music together, and the two drums really do some great things together, rolling and thundering at times, subtle and sensitive at others. An album with a high level of "woohaa", bringing everything great music should offer : true emotions, adventure, variation, interplay, tension, surprise and entertainment. From the "Out Trios" series at Atavistic, this is definitely the best one. You can listen and download from emusic.com. I chose this cover, as it is probably the most appropriate and least expected in the Andrea Centazzo reissue series. Centazzo is an Italian master percussionist and musical visionary, whose collaborations with Steve Lacy on the highly recommended CDs "Clangs" and "Tao" are probably best known, as is his collaboration with the Italian Mitteleuropa Orchestra. His whole catalogue is now available again, but you will have to browse carefully through it, because his range of activities is so wide, that not everything will be to everyone's taste. 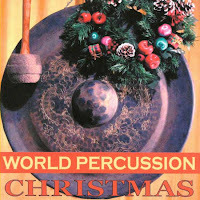 Hence the Christmas CD as a kind of token and warning : it contains the percussion part for christmas carols such as "Jingle Bells" and "Silent Night". 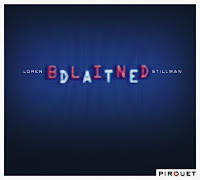 He has written music for chamber ensembles, for dance, symphonic pieces for classical orchestra even, world music, fusion too, but his modern jazz free improv CDs are the ones of interest here. Next to his work with Lacy, his duo collaboration with Italian trumpeter Guido Mazzon are more than worth checking out, as is his work with saxophonist Lol Coxhill or trumpeter Franz Koglmann. Not everything works, but the man's search for new musical form and his stubborn ambition of seeing this vision through are laudable. One of his best records is to my opinion his collaboration with Gianluigi Trovesi on "Shock! ", as reviewed earlier. His entire catalogue was already available, and parts of it can now be downloaded via iTunes or emusic.com, (but be careful : emusic.com does not always have the complete recordings, just parts of it). You can also order through Polish distributor Chazzforjazz.com. 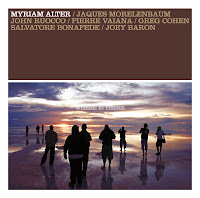 Although Myriam Alter is a fine piano-player, she prefers to leave the piano chair to someone else on this album, as on her previous one "If". This time Italian Salvatore Bonafede receives the honor. The other band members are as before : Greg Cohen on bass, Joey Baron on drums, and John Ruocco on clarinet, but adding Brazilian Jacques Morelenbaum on cello and Belgian Pierre Vaiana on soprano. With this band, she brings us again into beautiful melancholy territory, with lots of attention to musical detail, aesthetic subtleties, slight rhythm changes, and above all : a fragile and authentic sensitivity which is rare these days. The music itself is jazz, no doubt, chamber jazz to be more precise, but influenced by the whole tradition of European music, with Italian, Spanish, jewish, French elements in it. Like on my review of her previous album the immediate comparision which also now came to mind is indeed Belgian chocolate : compact craftmanship, the result of centuries of tradition, with a sweet flavor, but deep, with each time a subtle surprise taste in bitterness. The true difference with the previous album, is that here the melancholy is pushed even further, although there still are some joyful melodies to be hear as on "It Could Be There", but the addition of the Morelenbaum's wonderful cello gives even this joy a shade of melancholy. If you like the music of Anouar Brahem, you will also like this. It's the kind of music that for once will not chase the family members out of the room, it may even attract them. You can buy from Enja Records or download from iTunes. The Basso Continuo in the title of this album refers to the double "double basses" of Michael Bisio and Ingebrigt Haker-Flaten, with Nate Wooley on trumpet and Stephen Gauci on sax. An unusual line-up, but what what an album! The title track starts with both basses exploring the tune, reacting to each other, as a lead-in for Gauci's wonderfully warm and melodic tenor. The title means "uninterrupted contemplation", illustrating the spiritual elements underlying Gauci's music, which is spacious and open, but intimate, in the moment, in the notes almost. Wooley is the perfect counterpart for this : one of the best avant-garde jazz trumpeters of the moment, versatile, eloquent and creative. In the first track he brings the melody to a staccato rhythm, with one bass changing to arco, and then the whole quartet joins and the music they play is like layers of sound intermingling, fast, nervous, yet focused at the same time. The absense of percussion adds to the intimacy, yet the basses offer each other sufficient support to cover for that absence. The first track ends in some incredible bowed bass duet, over which Gauci plays plaintive emotional tones. The second track is more joyful to start with, with the horns echoing each other in long sustained tones, with a slow walking bass providing the rhythmic basis, but the mood gradually shifts to pumping basses and anxious horn sounds. The third track is my favorite, with some haunting sax-playing by Gauci, unusual experimental stuff by Wooley, evolving a into heart-rending bass-trumpet duet, then the other bass takes over with a simple line over which Gauci plays beautiful sax phrases. The last track is the shortest, starting very agitated by bass and trumpet, and the overall mood is not changing when the other bass and the tenor join. In short, this is very powerful, very open music, with lots of intensity. It shows that all musicians have played together before in one or the other band. Gauci's musical vision is one worth further exploring. Here is another excellent record by Ayler Records, by Jeffrey Hayden Shurdut on guitar and amplifier, Blaise Siwula on alto sax, Brian Osborne on drums. Shurdut is the "inventor" of environmental tuning or "Etuning" with which he is trying to reflect the sounds of every day life. On this album the three environments are the lumber yard, the warehouse and the waterfront. Hence the titles of the three tracks "Etuning The Lumber Yard", "Etuning The Warehouse" and "Etuning The Waterfront". It sounds silly but it shouldn't put you off : the music is great. Jeffrey Shurdut uses his guitar to bring back to life the sounds that he heard at these locations, with or without electronic changes. Osborne carefully plays his percussion around this, gentle and precise, with all the attention going to Siwula's wonderful playing on the alto. "Etuning The Lumberyard" starts with slow blowing and soft-spoken guitar and drums, but gradually the rhythms get more halting, louder and uptempo, industrial if you want, noise if you like, but still focused and rhythmic, then falling away completely for some beautiful solo alto, a little sad that the end of the day has arrived and all activity has clearly stopped in the lumberyard. On the second track Siwula's melodic and bluesy blowing flows like waves over the splintered drone created by guitar and drums, structureless, even-toned. The third track "Etuning The Waterfront" is by far the best. Now drums and guitar create regular sounds but in an irregular way, coming and going, like boats or heavy trucks passing by or power-drills or helicopters, and through those sounds Siwula is playing his plaintive, melancholy notes, adding the emotional contrast to the harsh sounds, then, as the music slowly evolves, all of these background noises coalesce into a wall of noise, and Siwula turns up the volume, playing anguished, painful melodies, and when the wall of noise becomes rhythmic and counter-rhythmic like hell, the sax is being drawn in by the rhythm, generating some hair-raising distress, maybe even terror, and when at the end the rhythm becomes tribal, hypnotic and intense, Siwula starts playing repetitive phrases for the first time since the beginning of the record, and once he does that ... magic emerges, as if he's become totally sucked up by and surrendering to the madness around him, sounding like a self-sacrificing liberation. Stunning! Downloadable from many sites. Do it. 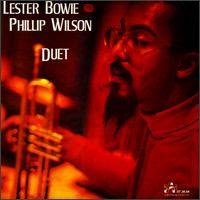 This is an update of an earlier topic - I added Lester Bowie, Phillip Wilson, Olu Dara and Max+Dizzy, the latter can be seen on the clip below, taken from the same concert as on the CD. There are obviously much less trumpet-drums duo albums than sax-drums duos, and comparable in that respect to the trio format. I put the Chicago Underground Duo's CDs between brackets because they also use vibes and electronics once in a while. Watch the duo performance of Max & Dizzy in Paris in 1989. If a master trumpeter like Ibrahim Maalouf releases his first CD, you expect fireworks, yet unfortunately the opposite is true. French-Lebanese Maalouf grew up in a musical family, with his father a famous trumpeter and the inventor of the quartertone trumpet, suited to play traditional Arabic music, his mother a pianist. He's the winner of 15 classical music awards for his trumpet playing. He worked three years on this album, with over 30 musicians, and recorded in Paris and Beirut, mixed it in Montréal and mastered it in New York. And the result is a disappointment. True, his trumpet playing is fabulous, but the music isn't. It often falls into the deep abyss of cheap sentimentalism, electronic and ambient flotsam, horrible sounding electronic drums, mixing lots of influences into one style, but the mix doesn't take, turning into a kind of Erik Truffaz with a middle-eastern tinge. The best parts are the ones which are pure improvisation without any additions, showing what we could have had, if the guys in the studio had only shown some more discipline and restraint ... and the worst thing is : underneath it all, there is some beauty hidden, covered in layers of commercial rubbish which are impossible to scrape off. That makes the dissapointment even bigger. What you don't get on this CD, is the kind of music which you can see on this video-clip with Ibrahim Maalouf. Click here for a ater review of Nassim Maalouf's solo trumpet CD. Ferenc Snetberger is a Hungarian master guitarist, classically schooled, fully educated in jazz guitar, but also skilled in the Roma tradition, Brazilian and flamenco guitar. Markus Stockhausen is in that sense very close to him, but then on trumpet. Both musicians can converse in any musical idiom, and that was clearly the basis for this collaboration, for which they first had some free improvization amongst themselves, then they listened to the result together, took out the best pieces, wrote them down and further expanded upon them. Furthermore, the two musicians have recorded and played together many times, and that also led to the closeness you can experience on this very intimate and expansive music. 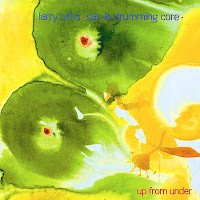 The overall tone is reminiscent of what has been called ECM-style jazz, as created by musicians such as Kenny Wheeler, Jan Garbarek, Bill Connors, Egberto Gismonti. There are no rough tones, there is no sign of anger, violence or agression, no hard feelings, just impressionistic wonder, the search for aesthetic beauty and clarity of execution. And more often than not, in the hands of less skilled artists, this leads to some dull or flat experience, yet on this album the music itself and the musicianship are just too good to let this happen. A real treat. Austrian saxophonist Max Nagl already brought us great joy this year with "Big Four Live", and now he's taking his music a step further in the region of great fun, with this traditional brass band and marching band music. Nagl does with European traditional dance music what Steven Bernstein did with Mexican and American traditional music : rearranged it, turn it into a jazzy version (but without the klezmer approach, of course), while keeping the fun and adding the unexpected ventures into more modern exploratory musical territory. 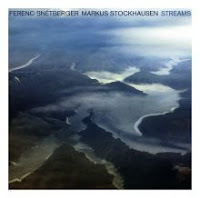 The music was recorded by two line-ups, one in Belgium and one in Austria, with respectively Thomas Gansch on trumpet, Max Nagl on alto, Wilfried Brandstötter on tuba, Patrice Heral on percussion, and Max Nagl, Clemens Salesny on alto, Alex Meissl on electric bass and Herbert Pirker on drums, with ambient sounds thrown in here and there. Nagl's interpretation of the music, and his transformation is respectful and yet I don't think it will appeal to fans of traditional wedding band music, let alone be played at such events. He may squeeze in references to Ornette Coleman, Lol Coxhill and the musicians may screech and skronk in full free jazz blow-out sessions once in a while, but it always moves back into the jolly rhythms (and sudden rhythm changes) of waltzes and polkas, and all that with wonderful arrangements throughout. Yet the question is : what does it offer in the end? Sure, it's fun to hear live, and surely the audience does laugh with the musical jokes once in a while, it's fun to hear on CD, at least once or twice, but it does not have the depth or musical power to listen to it too often, just like Bernstein's music. Light and enjoyable as a side-dish. British saxophonist Paul Dunmall is a productive musician. Here he is again with a new album, accompanied by Nick Stephens on double bass and Tony Marsh on drums. The album consists of four lengthy pieces, which are totally free improvisation, calmly and gently exploring the sounds and the rhythms. This is indeed not a blowfest, there is no aggression or harshness to be heard, but rather musical openness, tentative explorations and huge amounts of musical feeling. 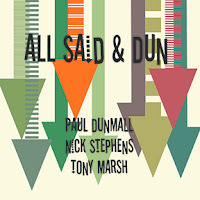 And it's especially the latter which is really becoming Dunmall's trademark, his tone is warm, buttery, rounded, yet the end result and the overall tonality and atmosphere superbly co-created by the rhythm section. Stephens and Marsh are extremely sensitive and precise musicians, contributing to the overall subtlety and expressiveness of this album. Frode Gjerstad is one of the leading sax players in Norway, fond of the trio or quartet format, and always in for the long haul, with tracks as long as one hour (on "Ultima"). On this album, with Wilber Morris on bass and Rashid Bakr on drums, there are three tracks, two close to 30 minutes and one of 5 minutes. Gjerstad is someone who needs time to bring his music to its full potential, not in the sense of Coltrane, who needed time to create magnificent expansive broad visions, but rather in a nervous, in-the-moment kind of way, knitting close notes around the center of his tune, focusing on the raw intensity of the music. Halfway the first track, the energetic power diminishes, for some slow but creative interaction with Morris on arco. The short middle track brings an interesting sensitive mutual exploration, but with Wilber Morris leading the music. The third piece goes on in the same vein, but not for long, because the energy and the nervousness start building up again, with an impressive Rashid Bakr, pushing the other players forward, and again, as in the first piece, about halfway the track, the whole thing collapses again into itself, and Morris starts playing arco with Gjerstad producing hesitant, plaintive sounds over the bass, resulting in some of the finest moments on the album. It's good that Ayler released this live performance from 1997 on CD, and it's nice addition for those interested in Gjerstad's music. For those who don't know him, I would recommend to listen to "Through The Woods" or "The Other Side" first. 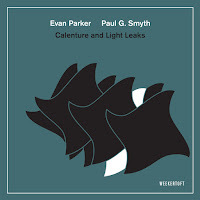 You can download from Ayler records, but also from iTunes and Allaboutjazz. Regular readers of this blog know that I'm fond of smaller line-ups, chamber jazz, with two or three instruments (and I also like lists, unfortunately). I like these settings because they're direct, unadultered, unfiltered, immediate, true, authentic, intimate - music stripped to its barest essence. True musicianship is needed to bring duos or trios to a good end. So, when someone asked whether I could recommend any piano-sax duets, I drafted the list below. I'm sure there are many more CDs that are worthwhile listening to and I would be glad to hear some suggestions (with thanks to Pim for the question and to Tom for the initial ideas). 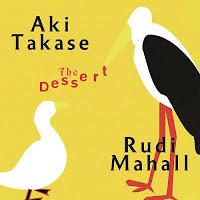 The reason I used the cover of Aki Takase and Rudi Mahall's "The Dessert" as illustration, is because the music on this album perfectly illustrates the power of the this combination : ranging from joyous unisono melodies, simple swing, over more sensitive romantic passages, to more experimental sonic explorations. And of course because it's nice artwork. Marty Ehrlich & Myra Melford - Spark! 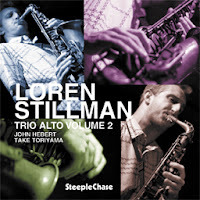 Earlier this year I reviewed Loren Stillman's Trio Alto Vol. 1, and I wrote that I looked forward to the second volume, and here it is, but it's another trio, this time with John Hebert on bass and Take Toriyama on drums. And it's even better. The trio plays hard, sensitive, tight, open, structured, free, ... not easy to classify, but fun from beginning to end. The musicians are excellent : Stillman's tone is warm and rich, and his improvizations are absolutely great and inventive : he goes on without ever loosing sight of the basic melody, without needing to abandon the clarity of his tone to keep the attention going. But his calm and restraint are nicely balanced with the power of the rhythm section. Toriyama on drums is really strong, hard-hitting (real hard at times! ), energetic and creative, and Herbert holds the center, keeping the core melody, but often reacting extremely well to Stillman's improvizational excursions. The music is well-structured, controlled, but real free. A great balance. A great album. And then Stillman releases yet another album, this time with a different musical concept, more mainstream, with Gary Versace on piano, Drew Gress on bass and Joey Baron on drums. His tone is still the same, but the overall atmosphere is lighter, more accessible, his playing is more frivolous, joyful, dancing, intimate, ... as you would expect from a blind date. The compositions are of course much tighter, more complex, with much less room for improvisation. Of course, the musicianship is among the best you can get, but there is less adventure, and in the end, also less memorable, at least to me. For fans of post-bop and mainstream, this record will be a treat. Listen and download drom eMusic.com. Well then, here it is : my list (and collection) of Lonely Woman covers. This song by Ornette Coleman is for me one of the most beautiful compositions ever. It is musically so complete, with a wonderful melody, heart-breaking, sad, with a dramatic crescendo, a moment of hope, then back to despair, the music halts at moments like someone unable to speak through her tears, ... absolutely phenomenal how with so few notes such rich emotions can be created, rich in nuance, without being mellow, and I've listened to this song hundreds of times without getting tired of it. And it must be said, you can't kill this song. Even Diamanda Galas is not able to. But let's not get too negative : there are absolutely superb versions of this song. Better than the original, harder, rawer, richer, ... and I even gave five versions the maximum of five stars, two in which Don Cherry performs. And these five versions are all longer than 10 or even 15 minutes. For each performer I indicated also the album on which the song is to be found. 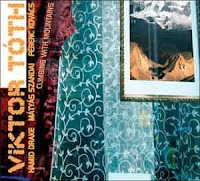 Viktor Toth is a young Hungarian alto saxophonist, playing here with Hamid Drake on drums, Matyas Szandai on bass and Ferenc Kovacs on trumpet, for a free bop record which has its merits. Some of the tracks are absolutely excellent, like "Autumn In Sicily", or "Snake" with its long-spun melody full of balkan influences, or the more uptempo "Train To Sarajevo", but then at times the band falls back into some more gentle, less adventurous mainstream pieces, such as "Mese" or "R's Day". Even if the compositions leave somewhat lacking, the playing is good : Toth, Kovacs and Szandai are excellent musicians, as is of course Hamid Drake, who is as recognizable as ever, precise as clockwork, creative, supple and supportive, and especially shining in the faster pieces. Nice music, but a little too nice for my taste. But then again, who am I, if William Parker writes these wonderful words in the liner notes : "Please drop all pretensions and let these sounds dance in your souls, stirring things up to take you to the top of the mountain". For an avant-garde pianist to set up a program to cover the blues is quite exceptional. Traditional blues are in essence in contradiction to free music, because the harmonic development and chord progression are basically the same for every song. Free jazz or free improv are its exact opposite. And yet ... both genres share unique characteristics : improvisation, emotions and expressiveness. 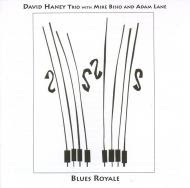 And pianist David Haney does exactly that : to turn the blues into a free format, using the non-formal characteristics as the essence of the music, assisted by two of today's best bass players : Michael Bisio and Adam Lane. And the overall result is impressive. The trio always has the 12-bar blues in mind, but the music evolves and moves to areas never explored in blues music before, into wild areas, of screeching arco basses and eery dissonant piano music, as in "Old Landmark" , yet always falling back onto the core material, or staying even relatively close to it, as in "Cardboard Watchdog" or "Blue Savannah", on which they stick to and improvise on the pentatonic blues scale. And some hold the absolute middle, like "Soul Of A Man", which starts with the saddest low and slow blues by the basses, then Haney takes over the traditional blues chords on piano, while the two basses start pooring their hearts out, in a slow outburst of agony and misery. Who would have guessed the blues contained all this fresh power? Adventurous, authentic and artistic - I like it! One of the essential elements in great music is the enthusiasm of the musicians. If they're not 100% behind what they're playing, then why would you care as a listener? There are moments when musicians excell at bringing this enthusiasm with the material across very well, and this CD is an example in case. 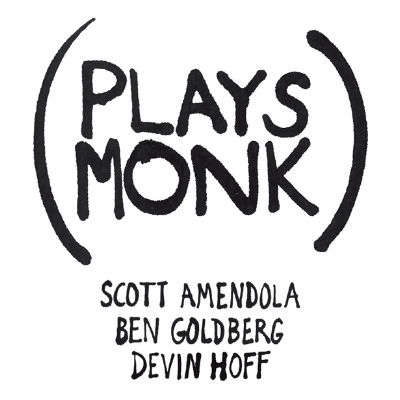 "Plays Monk" consists of Scott Amendola on drums, Ben Goldberg on clarinet and Devin Hoff on bass, and they bring ten pieces by Monk. And what these guys do, is absolutely fabulous : the rhythm section is re-creating the tunes all by themselves, hard-hitting and very creative and modern with Monk's material, while Goldberg is trying to keep the original melodies intact, and lifting them even to unknown territory, his clarinet as fast as the right hand of the absent piano-player. Especially Amendola is fierce at times and Hoff's bass is more often "running" rather than "walking ", because they turn the tempo a notch higher than on the originals. 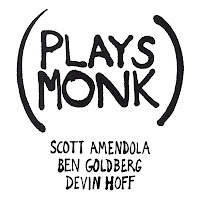 The band's objective is to find the depth and breadth of Monk's music and they do it well, "… always aiming for the distilled truth of the music”, as they say themselves. This is indeed music stripped to its barest essence : melody, harmony, rhythm and interplay. And the material is great, and the musicians are great. Pure joy, pure fun! What more do you want?